In the latest issue of Vanity Fair magazine, perpetually bilious writer James Wolcott has attacked the "myth of Hollywood's conservative blacklist." He finds it highly amusing that anyone would fear damage to their acting career for publicly favoring this president. "Hollywood conservatives still act as if prison searchlights are prowling the studio parking lot," Wolcott wrote. "A bigger bunch of crybabies you've seldom heard in your life." This line about crybabies is odd, isn't it? Has anyone ever heard more crying and screaming and raging coming from the Hollywood left than since the night Hillary Clinton sunk her battleship? Not a day goes by without finding one or two or 20 of them on Twitter, in awards ceremonies, on late-night television and anywhere else they can find an audience wailing hysterically. But it's the conservatives, says Wolcott, who need to be addressed. 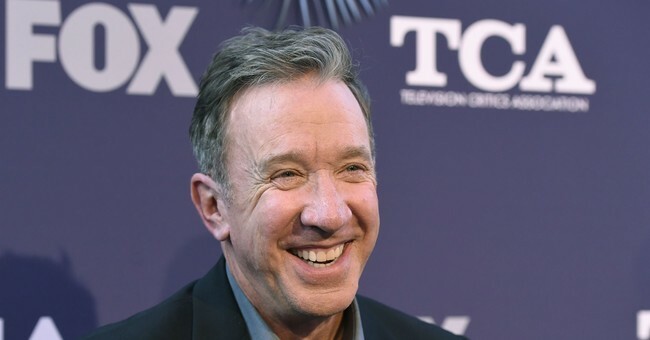 Wolcott mocks sitcom star Tim Allen for saying: "You get beat up if you don't believe what everybody believes. This is like 30s Germany." That came before ABC canceled his popular show "Last Man Standing." That comment on Tinseltown might have caused internal rumblings that led to the cancellation. One can understand Hollywood's objection to being compared to Hitler ... and not simply because it's overwrought but because it's like plagiarizing Hollywood's perpetual caricature of Donald Trump and conservatives. Wolcott pretends that the only harm for being conservative is frowns in the lunch line. He cites Allen's getting a second chance with his sitcom at Fox and Tom Selleck's starring in "Blue Bloods" for CBS, and tries to claim it's somehow a conservative victory that ABC is going to make the "Roseanne" show without Roseanne Barr. But even with this less-than-a-handful offering, is there a show that's ever been celebrated for espousing conservative values the way dozens upon dozens of left-messaging sitcom and drama series have been over the years? Go ahead; mull it over. We'll wait. It doesn't matter who you are, or how big your star. Come out as a conservative in Hollywood and you're a marked man. Even seasoned actors can suffer for becoming overt conservatives. James Woods has become a fierce critic of the left on Twitter, and this summer, he found himself dumped by his longtime agent, Ken Kaplan. Woods posted an email he received in which Kaplan wrote: "It's the 4th of July and I'm feeling patriotic. I don't want to represent you anymore. I mean I could go on a rant but you know what I'd say." In a separate tweet, Woods shared his response: "'Dear Ken, I don't actually. I was thinking if you're feeling patriotic, you would appreciate free speech and one's right to think as an individual. Be that as it may, I want to thank you for all your hard work and devotion on my behalf." Compare Woods to Jim Carrey on the other side, who is a fierce critic of President Trump on Twitter. He was awarded a glowing cover story in the Hollywood Reporter about his work as an "Actor, Artist and Trump-Era Agitator." Carrey posts grotesque tweets raging against the president and his family ... including one with a photo of his big-game-hunting sons Donald Trump Jr. and Eric Trump being gored to death by elephant tusks. Bizarrely, Carrey rages against congressional conservatives like Reps. Jim Jordan and Devin Nunes as "just the worst of us encouraging the worst in us." As for Trump fans of all stripes, Carrey maligns them as suicidal, saying, "To watch half the country ignore what is quite obviously right in front of them, I liken it to standing on the railroad tracks cheering for the locomotive that's about to run you down." Carrey's agent is not going to quit him. Carrey's agent is thrilled to quote him. That assault on a conservative is precisely what a publicist wants to promote in this industry, which Mr. Wolcott insists is not hostile to conservatives.